Today we are feeling thankful for the amazing people Coraline brings into our life and, equally, for the amazing influences these people are in Coraline’s life. 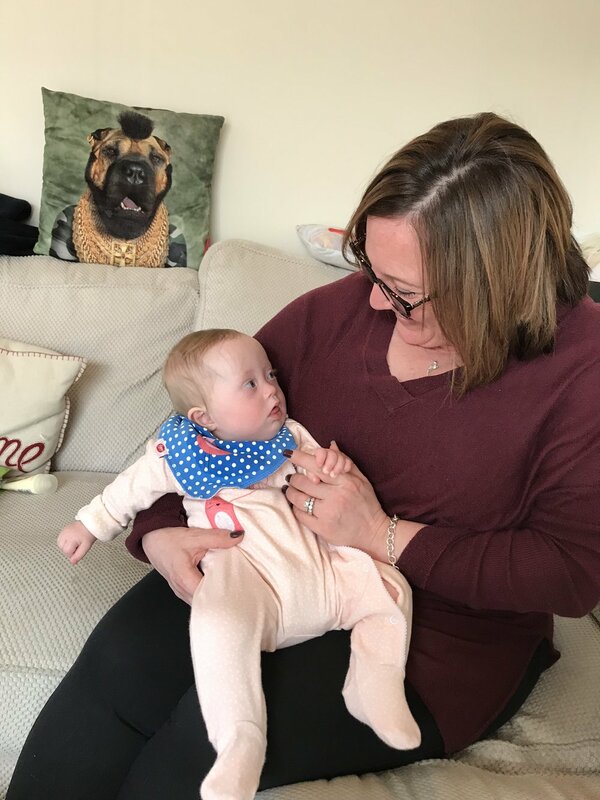 When Coraline was a few months old, our Portage Service (home visiting educational service) told us about Home-Start who are a voluntary organisation who support parents with young children and have volunteers who come to give home-based support. We have had a volunteer Tracy who has come to see Coraline for the past four months. She comes once a week and feeds, plays with and takes her for a walk for a couple of hours. We look forward to the visits, and I enjoy catching up with Tracy too. Each time Tracy comes we think how lucky we are that organisations like Home-Start exist, for ourselves and other people. Such an impact do time and kindness have. We have been particularly keen to have various influences for Coraline (our amazing neighbour Margaret weekly, and a couple of other great babysitters every few weeks). This is because we want Coraline to be comfortable with others, not just us, and to have other influences. This, especially in light of the fact we did not have many visitors in her first months, nor have we taken her to any baby groups yet due to health considerations with her heart (i.e. not to get ill if possible). Tracy’s quality fun time with Coraline means Coraline is having a great time, and I can do things like emails and washing (that’s exactly what I do each time!). It means the world to us and her visits have been such a pleasure. I actually just wrote this post today whilst Tracy was out walking Coraline. Tracy has seen Coraline change from lying on her baby activity mat, to reaching up for her toys now at eight months old. It’s Tracy’s last day with us today as she now has a full time job. Last week she said to us, “I’ve never heard her cry. She’s so content isn’t she?” and today she said, “she’s adorable,” which is something she says every week, to me and to Coraline. So here’s saying thanks for organisations like Homestart who spread such great energy. Here’s a picture of fabulous Bev from Home-start (who introduced us to Tracy) when she was on a visit seeing how we were getting on last week, and one of Tracy feeding Coraline today.